A stone’s throw from the entertainment metropolis of Blackpool on the English west coast, there is a man who lives for his chainsaws and a Logosol saw. His name is James Shelliker and made the switch to sculpting from his previous job as a park worker. 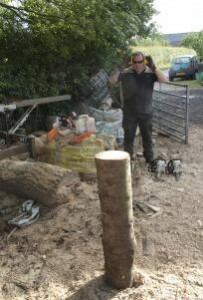 Shelliker lives in the country, but he has no previous experience of forestry, let alone sawmilling. He was employed and worked in schools and sports facilities. “When trees were blown down, it felt wrong to send them to the tip,” says Shelliker. 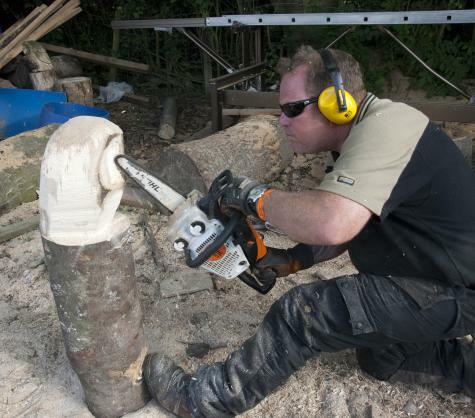 In his spare time, he attended a chainsaw wood sculpting course. He applied his knowledge to his work in order to identify trees that had been blown down or for some reason needed to be felled. His sculptures became so popular that he decided to give up his job to work as a sculptor. England is the promised land for garden gnomes, but Shelliker shudders with disdain when the little colourful creatures are brought into the conversation. He thinks there are more attractive and more natural ways to decorate a garden. “I won’t be making any gnomes,” he says firmly. Instead, he cuts toadstools, owls and other things taken from nature’s rich store of inspiration. Above all, he believes that sculptures should also be functional. Benches are a perfect example of this, ideally large and heavy so that admirers won’t be tempted to carry them away. 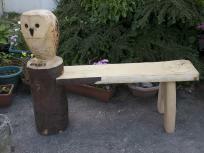 But a bench can be cut quite easily using a chainsaw. 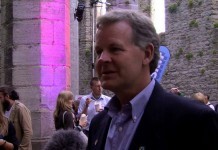 “You can, but it’s very difficult and dangerous to do,” says Shelliker. 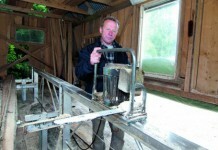 Instead, he bought a sawmill, a Logosol M7, which he now runs on his farm. 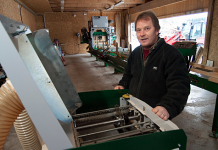 The mill is mainly used to produce boards for benches and other components for his sculptures. 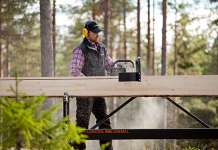 “I’ve never used a sawmill before. 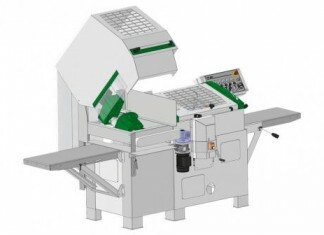 It was easy to learn on the Logosol and the results exceeded my expectations,” says Shelliker. 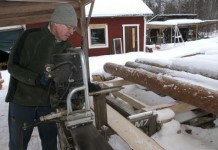 Owning a sawmill also allowed him to produce timber to maintain his home and to manufacture furnishings and furniture. 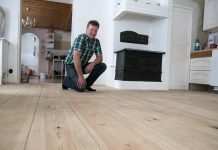 A bookcase is at the top of his wife’s wish list, but that project is always being put back due to a lack of time. “I travel round to various fairs selling my sculptures, and I also demonstrate how I produce my pieces,” says Shelliker. When WoodworkingProject visited, Shelliker had just returned from one of those fairs, as usual attracting a lot of interest and securing several orders.